We keep daily backups to save your site, whether you accidentally deleted an important email or in the event of disaster. Our high-availability hosting service was designed with uptime in mind, and we guarantee it. Don't worry about complicated migration planning. Let us handle it all with our free white-glove migration service. cPanel makes it easy to create and manage email addresses, includes webmail, and YourLastHost adds additional advanced spam protection. cPanel is the world's most secure hosting control panel, and we run nightly security scans to ensure top security and uptime. 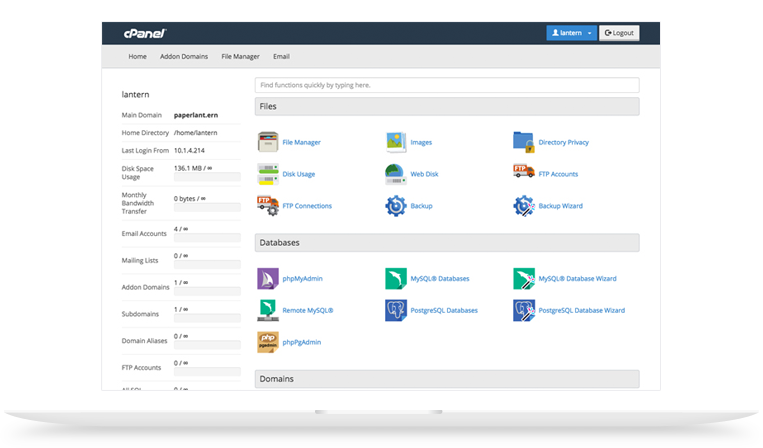 Our control panel makes it easy to manage MySQL and MariaDB databases as an administrator with PHPMyAdmin. 1-Click App Installations with Softaculous. 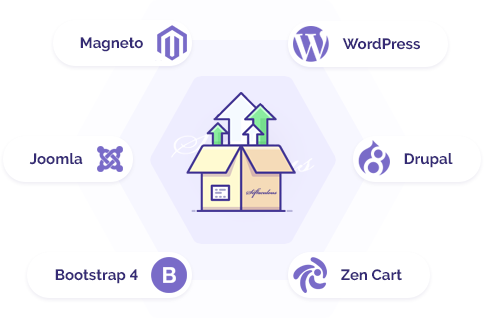 Softaculous can automatically install, back up, and update over 100 different scripts, including WordPress, Magento, Joomla, Bootstrap, Drupal, Zen Cart, OpenCart, and many more. More advanced users will like the ability to pre-configure installations to save time. Managed VPS are a flexible and effective way to host websites that may require more resources or dedicated management from our team. Looking for a certain feature? We've got it. Save 10% with promo code "10PEROFF"